Do you know that I used to drink an entire two-liter of Diet Coke a day and thought it was normal? In fact, I can promise you that if you ask my former high school students what they remember about me, besides my energy, passion and applause machine (here’s hoping they remember all of that), they’ll tell you that a bottle of that stuff sat on my desk daily, and at times was followed by another can, or on a long day, another bottle. Just writing that makes me cringe. There were actually days I could barely remember if I consumed a glass of water. Now writing that just makes me feel dehydrated. As health became more important to me, I introduced more and more water into my life. Yes, I said introduced, because to be honest, drinking H20 consistently was just not my jam for a long time. Until it was. The thing with water is that once you get on board with it, you really can’t function without having a tall, cool glass of it regularly throughout the day. Before long it edged out my soda habit, and it wasn’t just because I felt so much better. Not to toot my own horn but beep beep people, I also looked better. My skin glowed. I wasn’t bloated (which I didn’t realize I was, until I wasn’t anymore). I lost weight. And I also knew that my poor body, that had been subjected to whatever the heck makes up Diet Coke, was now getting the hydration to keep me alive and well. My kidneys, muscles, gastrointestinal tract and brain were getting the TLC they deserved. 1. Lemon Cucumber Water: This combination not only tastes incredibly refreshing but while you’re sipping away it will be working on your body. The lemon slices help support digestion and the elimination of toxins, and the cucumber will help you in the body bloat department. On top of that it will taste like you’re at the spa, even if the rest of your life doesn’t feel that way. I also add some mint for good measure, and while I’m muddling it together I pretend I’m making myself a cocktail. 3. Strawberry Mint Water: This delicious and hydrating drink also looks beautiful in your pitcher and your glass. Now let’s talk about your body: Strawberries one of the top ten antioxidant fruits and veggies and they are packed with Vitamin C which means they support your immunity, your eye health and even help flush fat from your liver. Strawberries also contain ellagic acid a phytonutrient that helps suppress the growth of cancer cells. Bottom’s up! How do you take your water ladies and gents? 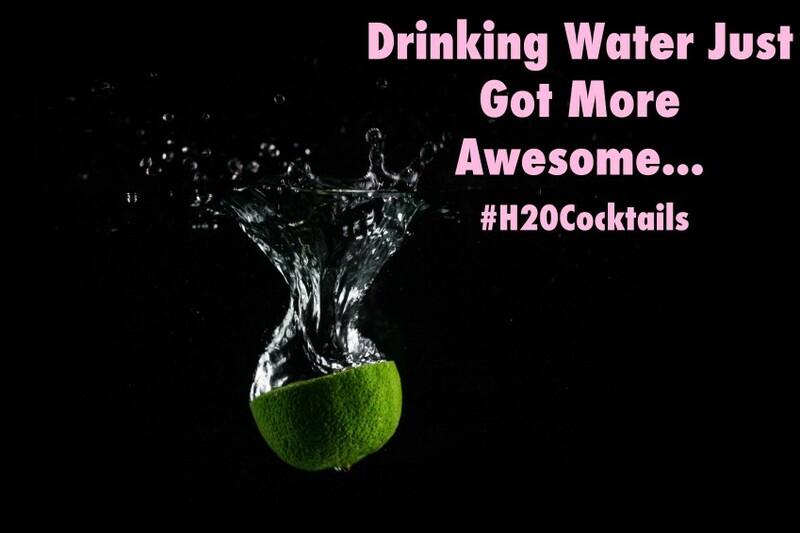 Share your water recipes and H20 cocktails in the comments below!